Indeed, Daisy is a fun-loving gal that adds an element of San Francisco’s signature eccentricity to your standard city tour. I had the pleasure of heading out on a preview tour, and found that Daisy—along with her expert driver (and hilarious commentator), Captain Mike—managed to successfully break my too cool attitude, turning me from a jaded veteran local to a delighted tourist for the afternoon. Captain Mike’s beautifully timed jokes and vast knowledge of the city made the tour both entertaining and informative, and as Daisy glided from land to sea, I found myself quietly squealing along with my fellow passengers. Daisy is a fun addition to San Francisco’s wide array of transportation, with the added bonus that you get some city history along with your travels. 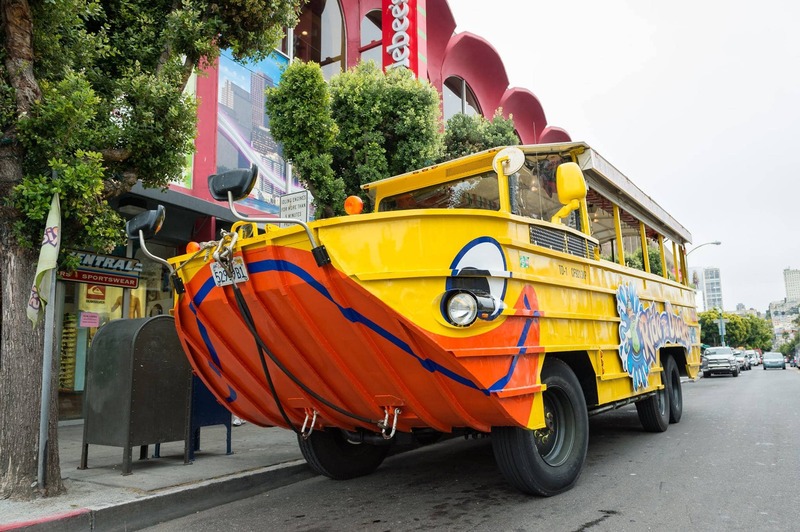 And this summer, if you see the squeaky new Daisy this summer roaming the streets (or the waters) snap a photo and hashtag #LuckyDuckSF on Facebook, Twitter, or Instagram—you may just win free passes for your very own ride.